Order any of our books below and receive it in the mail. Scroll down for the eBook copies. Order for $6.99 + shipping! The Factory is one of those huge places which is broken up into many areas. There they manufacture goods for the rest of the planet. 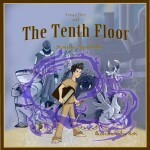 One of the residents there, Prince Dee, is sent to work on the tenth floor. He possesses the imagination they need to recharge their workshop and get things back on track. But, it’s not all smooth sailing when he gets there. With the weight of the world on his shoulders, he overworks his young body. It’s up to theothers in the workshop to complete the monumental task of manufacturing enough toys for every child on the planet for the spring festival. Can they band together and get the job done? 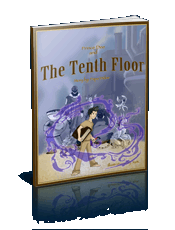 Find out what happens in “The Tenth Floor”. Order for $7.99 + shipping! 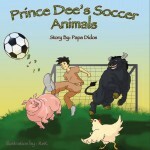 The factory adventure continues with Prince Dee’s Soccer Animals. Once again, Dee is asked to switch workshops. This time they send him to work in the kitchen. There he meets Master Chef. He is a large person with a stern personality. It’s his job to keep all the factory workers and green patrollers fed. Dee, while skilled at making cakes and pastries refuses to slaughter and prepare the animals for being eaten. Because of his stand, Master Chef sends Dee to work in the garden and tend vegetables. As he works, he discovers and befriends the surrounding farm animals. He even teaches them the game of soccer. Everything is peaceful and happy until one day Master Chef orders the animals be slaughtered for dinner. Thinking quickly Dee buys the animals some time from being turned into dinner. He bets Master Chef his animal friends can beat the factory soccer team. The animals are playing to stay alive and the factory workers are playing for their dinner. Which side will win? 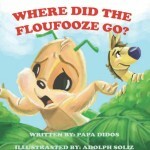 Find out in Prince Dee’s Soccer Animals! In this story about friendship, understanding, communication, and forgiveness, Dizzy the famous skyboarder bravely helps free Ambi from a sticky tangled web in the forest and the hungry Xaspri’s appetite. Despite differences in personality, Dizzy and Ambi quickly become great friends. They try their best to help each other as much as they can. When Dizzy encounters tragedy, he doesn’t let anyone know. It is from the lack of communication that his problems really begin. The two friends find their friendship put to the test when Dizzy sets off a chain reaction that sends him to the Darkland Towers. There he finds himself surrounded by strange creatures. Only Ambi holds the key to Dizzy’s freedom. But, she must forgive him first. 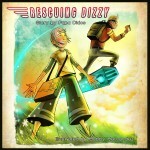 Find out what happens in “Rescuing Dizzy”! Order any of our eBooks below for an instant download.